Located along the Pacific Ocean in sunny Laguna Beach, California, the Blue Lagoon Condominiums boast a breathtaking view that overlooks miles of California coastline. One of the most notable neighborhoods in Laguna Beach, this luxurious community offers an everyday escape for its residents. In the fall of 2016, the Blue Lagoon homeowners’ association determined it was time to replace the roofing shingles on the complex’s 119 homes, which continually endure the rigors of coastal weather, including harsh rains, high winds and ocean spray. Selecting a roof to span the entirety of Blue Lagoon was no easy task, with valid concerns and stringent requirements being echoed from the Blue Lagoon Homeowners Association (HOA). The new roofing would not simply need to be visually appealing, but also tough enough to withstand coastal weathering and hold up to foot traffic from the workers performing roof upkeep. According to Steve Brown, a member on Blue Lagoon’s HOA board, the residents wanted a shingle that mirrored their community - one made from the highest quality materials with a look that emulated the reputation and distinguished appearance of Laguna Beach. Coastal living provides a unique challenge because routine maintenance is necessary to protect the exterior of the homes from the elements. For this reason, the Blue Lagoon HOA board required shingles with a lasting warranty, having undergone multiple renovations throughout the 80s and 90s. To aid in their decision-making process, Blue Lagoon’s HOA board consulted Luke Roofing, a local contractor that it partnered with multiple times in the past. 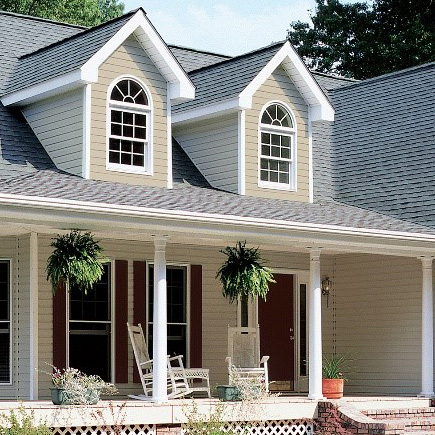 Luke Roofing originally recommended Presidential Shake® TL roofing shingles from CertainTeed, but the final decision was to go with CertainTeed’s Arcadia Shake®, a recent addition to the CertainTeed roofing collection, in the color Shenandoah. Arcadia Shake is a four-layer luxury laminate shingle with thick, stylized edges and granule blends that capture the authentic coloration of wood in the form of tough, low-maintenance asphalt. Arcadia Shake was a featured choice not only for its resemblance to real wood shake roofing and impressive build quality, but also for its Class A fire resistance rating, something many western states are conscious of due to the dangers associated with wildfires. Arcadia Shake was also an attractive option because it is less costly than real wood shake from a both a material and installation standpoint, and the upkeep required is virtually nonexistent. Asphalt roofing doesn’t require ongoing maintenance, unlike wood, which naturally absorbs moisture and becomes warped and brittle over time. Luke Roofing also installed CertainTeed’s DiamondDeck® and WinterGuard® underlayments beneath the shingles for additional protection against moisture infiltration that would otherwise threaten the integrity of the roof structure. 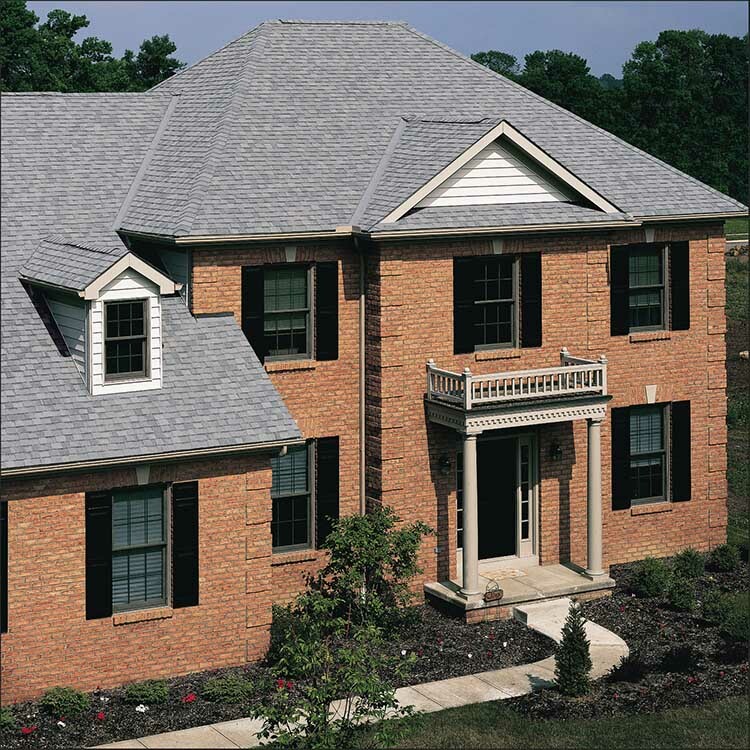 To provide superior wind resistance, Presidential® Starter shingles were used along the roofs’ perimeters. 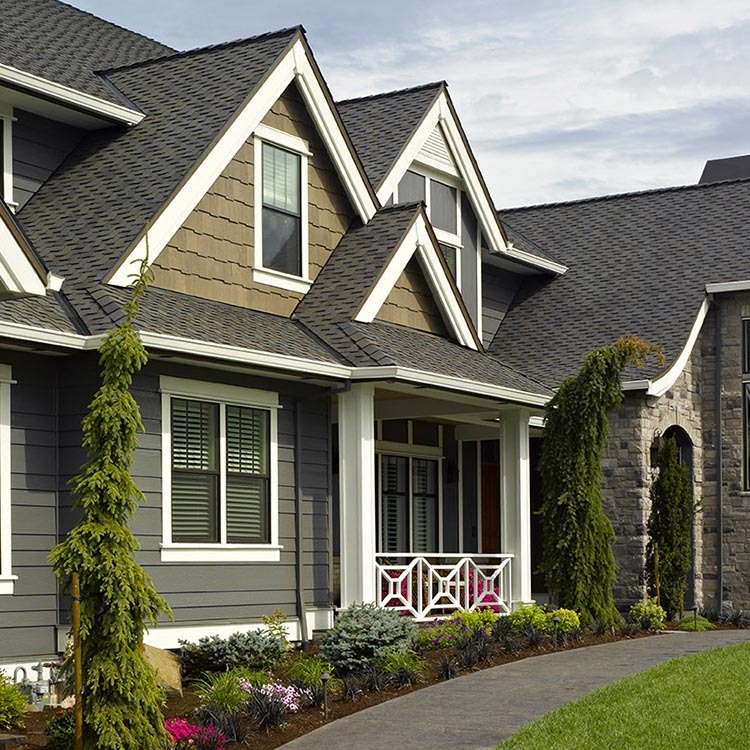 For further enhancement of the architectural beauty, Mountain Ridge® accessory shingles were installed along all roof hips and ridges, providing an artfully crafted, finished look. In addition, due to Luke Roofing’s status as a CertainTeed SELECT ShingleMaster™ credentialed company, they were able to offer Blue Lagoon an enhanced warranty on the products installed as well as the installing workmanship. While maintaining the community’s overall look and feel remained a top priority for the Blue Lagoon HOA board, residents also expressed an interest in adding solar energy. Being right on the water in one of the sunniest beaches in California, Blue Lagoon sought out products that would match the high quality of their roofs while offering highly efficient energy production. The desire to install solar was met with some initial deliberation due to concerns over the solar industry’s volatile and uncertain landscape. Yet Luke Roofing presented CertainTeed’s Solstice system as the ideal solar solution because of CertainTeed’s track record of stability, high-quality products, and industry-leading warranty. Solstice systems include all major system components backed with a single-source warranty provided by CertainTeed. “Solar is still in the growth stage – a lot of companies come and go. 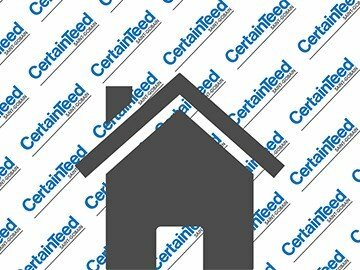 CertainTeed provides the reputation of a secure and established major manufacturer with industry expertise,” explained Brett Moran, solar sales manager with CertainTeed. A unique project that required the input from a whole community, Blue Lagoon’s expansive renovations took twenty weeks to complete, with the project reaching completion in October of 2017.